The majority of workers who suffer multiple on-the-job injuries can be coached back to safe and productive performance. However, the most common approaches to this problem are the least effective. 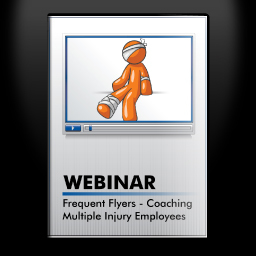 Learn how to approach workers with multiple injuries, customize a plan for them, and coach them back into the general workforce. These techniques have proven effective for organizations in many different fields and they are straight-forward to learn and implement.